When choosing the best technical computer service Gran Canaria, we can recommend a few that we have worked with, in the past, and that guarantee consumer satisfaction. First of all, the service you choose will depend on the type of device. If it is an Apple product, it is better to go to the official Apple repair centre. If it is any other brand, our friend Jose can (almost) do miracles. 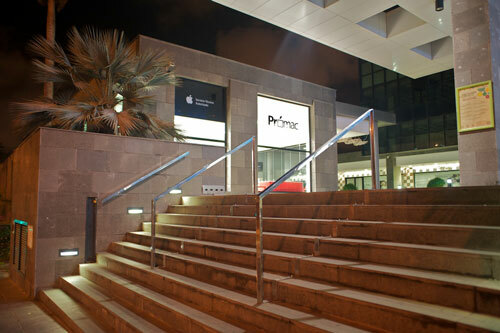 Servicios Promac is the official Apple repair centre of Gran Canaria and for the other Canary Islands. Big Apple retailers of the island, such as El Corte Ingles, and Banana Computer, trust them for all their Apple-related repair work. They have recently opened a classy workshop. 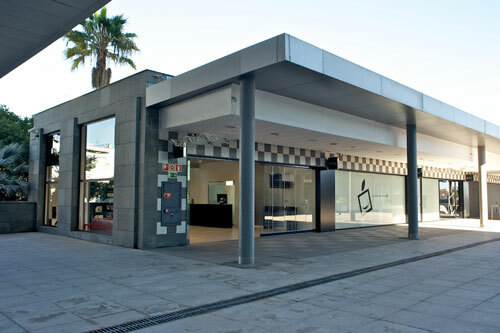 It is located in Centro Comercial Las Ramblas, in the capital, Las Palmas de Gran Canaria. They are open throughout the day, but it is best to drop off your computer or other device, early in the morning so that it will be ready faster. Free parking is available inside this shopping centre. If you are unable to come to the capital, they have a courier service (at a small cost). They offer training on how to start with Apple operating systems, configure and synchronize devices, and on more advanced topics. This training can be in their premises or in the client's premises. Apple accessories, like chargers, cables, etc. are also available for sale. If you have any query, you can fill in this handy form. They will get back to you fast. Jose is a computer expert who we know since the late 80s. His workshop is located near Las Canteras beach, in the capital, Las Palmas de Gran Canaria. He speaks English fluently and helps tourists of different nationalities every week, with their computer problems. Whether it is a software problem such as a virus, or a hardware problem like a cracked screen, he will do the job.